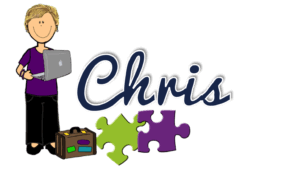 I know that many of you are ready to talk about getting your special education classroom setup and for many of you this topic makes you queasy at this time of year. I wanted to start to kick off this series because many of you are starting to think about it and are heading back soon. Others of you just go out of school and can’t bear the thought and deserve your rest. So, if you are among those heading back soon, keep reading and join in our Facebook Live sessions. If you are not ready to talk about it, pin it for later and watch the video replay below. It’s all good! My original thought was to write an amusing post to start us off, but look for that one on Wednesday. Instead, I want to talk about some of the things we don’t always say about what makes setting up a special education classroom different than other types of rooms. General education teachers certainly individualize and differentiate in their classrooms to meet the needs of individual students as they get to know them. In special education, everyone expects us to hit the ground running in meeting the individual needs of our students, because that’s our jobs. 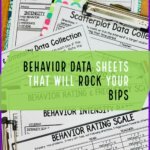 IEPs are expected to be followed throughout the year from the first day of school on….there’s no, when we get settled in we’ll start running that behavior plan. So, before we even start to think about what the classroom will look like or our day will look like, what strategies we want to try this year, or how we want to arrange the furniture, we have to think about the needs of the students we will have. So, that has to be to step number 1. I typically do that with my Teaching Plan and I’ll walk you through how I do that in next Sunday’s post. This one is a bit more complex and I realize it’s a touchy issue for many. I know that classroom decor (Ugh I hate that phrase for some reason) is a big deal to many teachers. And it’s important to have a classroom in which the teacher is comfortable as well as the students. Everyone should like to be in the classroom, so it should be bright, engaging and interesting. However, I find all the time, money and effort spent on “decor” in the classroom sometimes gets in the way of the meat of the teaching. I also find that the decor items (e.g., pom poms hanging from the ceiling) are sometimes distracting to SOME students. Now, this isn’t true for every classroom or every student. I look forward to an interesting debate and discussion about this issue in our Facebook chat tonight. 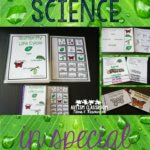 To give you a sneak peek at my thoughts, I find that once I put up the visuals needed by the students, the reminders needed for the staff, stash some PECS books and data sheet clipboards on the walls along with posting lesson plans, schedules, and zoning plans. I don’t have a lot of room left for decoration. This is actually what prompted me to develop my thematic visual bundles so the walls are brightly colored and you can have chevron or polka dots but still have it be functional for the students. So, I call my theme “The visual cueing theme.” ? Another important component that will come into play as we start setting up the classroom is knowing what furniture you have to work with. How many tables, desks and chairs do you have? Do you have enough chairs for each student–believe it or not I’ve been in classes that don’t. Also crucial is knowing how many shelves and dividers you have to block off space within the classroom. Whether you have younger or older students, most students in a more self-contained classroom or resource classroom are going to benefit from clear boundaries in the room. However, I’ve found that most classroom furniture and materials were ordered for by people who thought all classrooms were equal. So you are likely to walk into a classroom scheduled to have 12 students and 3 adults and find 30 desks and chairs ready to be set up for a general education classroom. In addition, if you have built in shelves around the room, you are likely to not have much furniture to divide the center of the room into spaces. This is something you want to start advocating for–more dividers and shelves that provide clear visual and physical boundaries to the students in specific learning areas. For those of you particularly are newer teachers or new to different grade levels, don’t let anyone tell you that just because you teach special education you don’t need a curriculum. In fact, you need more than one curriculum. General education teachers are given a textbook and curriculum they are expected to start with. Often special education gets left out of the discussion of the types of curriculum that is needed. Hopefully the special education administrators will have thought of this, but it’s possible they are waiting for you to tell them what you need. I’ve been in situations where half way through the year, the special education administrators are waiting for the teacher to tell them what she needs in her class. The special education teacher is waiting for the administrators to give her materials. Meanwhasile there is almost nothing for the kids to do. So, be proactive. Look at what curriculum is available in your classroom. As you get to know the students, think about what curriculum you are going to need. Read more about what I mean by curriculum and options for many of our students, check out this post for what it is, this one for a review of the Unique, this one for the STAR and this one for a discussion of functional curricula. And of course there are always reading and math curricula you will need as well as individual curriculum needs. As you learn about your students try to find out what curricula they have been using and where they left off so you don’t skip ahead or re-cover too much ground. In this day and age, most general education teachers don’t have paraprofessionals in the classroom unless there are special education students the aide is supporting. Consequently the special educator’s job will require more training and managing of adults than the general educator’s job does. So, what are the best ways to do that? We’ll be talking about that in this series too when we talk about zoning, training staff and working with adults. In the meantime this series we did over the summer might interest you. 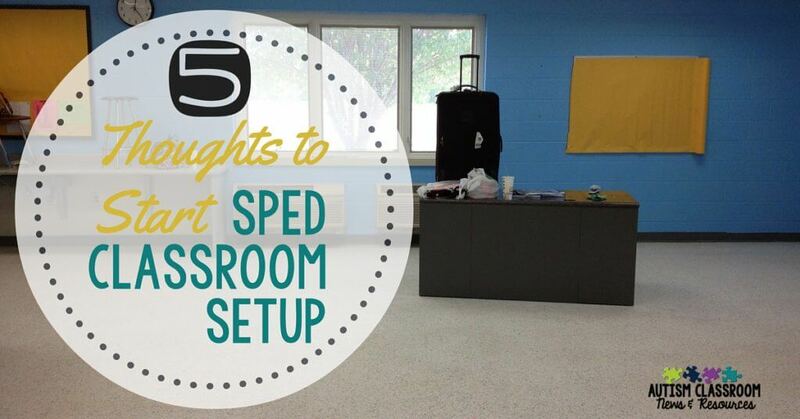 So those are 5 things to think about in gearing up to setting up your special education classroom. I’m psyched to get started to share some ideas to think about as we start, slowly, to gear up for they new year. 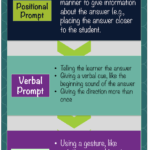 Here’s the line up of 10 Steps to a Well-Run Special Ed. Classroom. I’ll be using both my Sunday and my Wednesday posts (except Workbasket Wednesday) to cover the ground we need so stay tuned. What Visuals Do You Need to Start? In the meantime, if you are really needing to get started sooner, you may want to check out the series I did a few years ago on setting up classrooms. In addition, you might find our book on Setting Up Classroom Spaces useful as well. Disclosure: This is an Amazon Affiliate link–please see disclosure menu at the top of the page for more information. Thank you for all the great ideas. 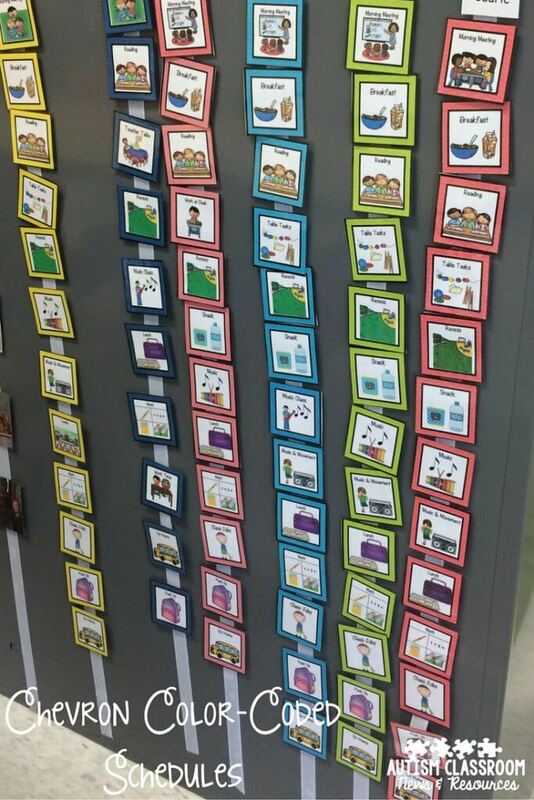 I love color coding my students as well. When are the Sunday chats and Work basket Wednesdays. Workbasket Wednesday happens the first Wednesday of each month. The Sunday chats are on my Facebook page at 7:30 PM eastern. Hope you can join us. I think it really depends on the classroom and depends on what the conceptualization of the TEACCH method looks like (as I’ve seen many). I think that TEACCH encompasses many strategies that are just good structure and design for all classrooms, and particularly special education. However, I’ve seen some people use TEACCH and their classroom becomes too compartmentalized and like a rabbit warren which isn’t good for any of the students. 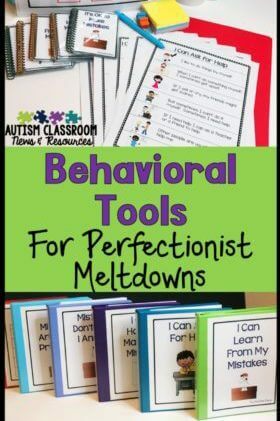 I definitely think the strategies are good for a wide variety of learners, not just autism but the decisions should be made on the needs of particular classes and students. Hope that helps.